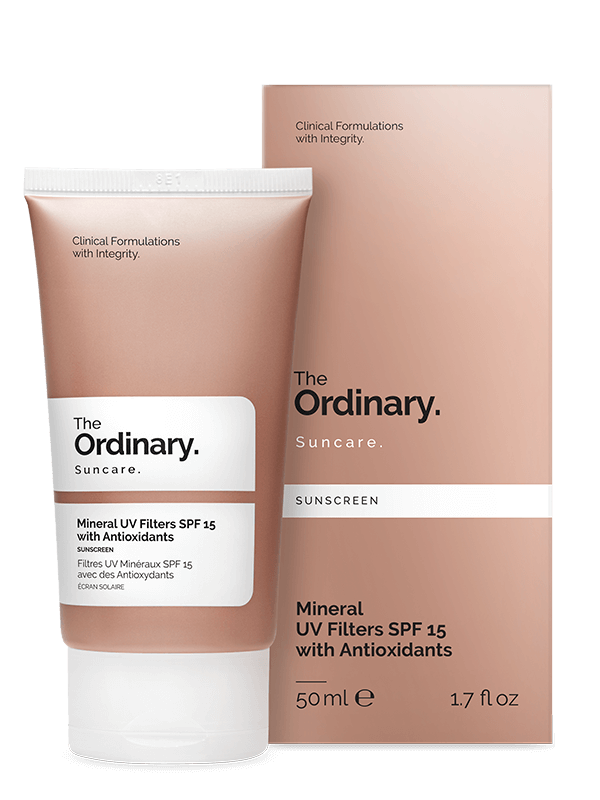 The Ordinary range of Mineral UV Filters formulas’ offer SPF protection along with antioxidant, hydration, and anti-irritant support. The Mineral UV Filter formulas avoid the use of any nanoparticles. 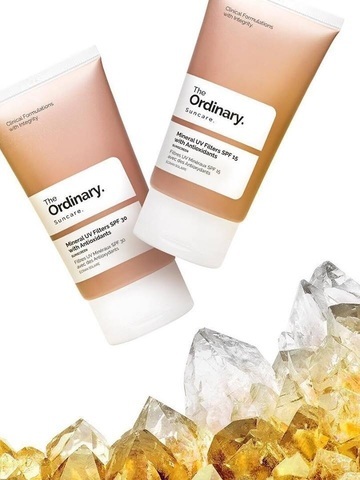 Instead, a refined dispersion of micronized ZnO and TiO2 in flexible, high-volatility, non-comedogenic silicones allows the formulations to remain extremely lightweight by optimizing the amount of the blocking agents. 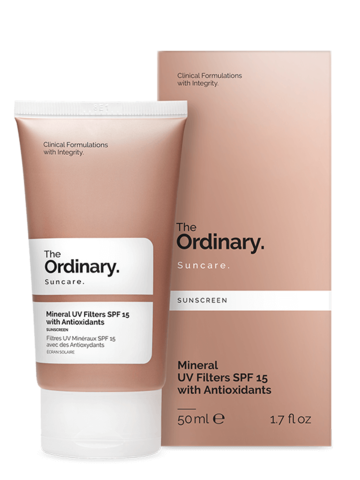 Our formulation uses mainly ZnO for its protective effects (because in addition to reflecting/refracting light, ZnO is actually also able to absorb UV rays without creating oxygen radicals) and the supporting TiO2 that it contains is only in rutile form (no anatase form of TiO2 is used at all since it's an aggressive producer of free radicals).